French General - Paisley sophistication! Kaari Meng's inimitable vintage charm which brings shabby chic with French flair and a hint of insouciance! 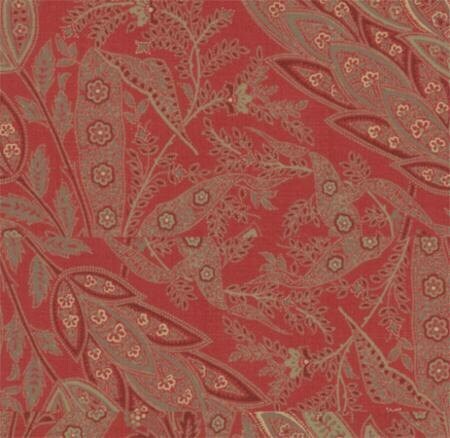 This fabric is from the line of favourites which work with any of the other French General fabric ranges. The quality of the weave of the French General fabrics is much lighter and finer than other Moda lines.